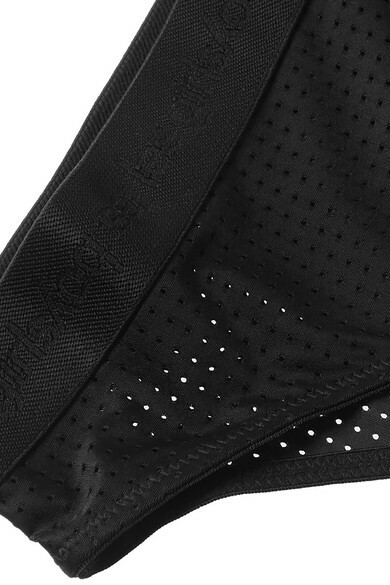 Les Girls Les Boys' high-waisted 'Logo' briefs are made from technical black stretch fabric that's perforated for breathability. The elasticated waistband is discreetly detailed with the label's name. Complete a set with the matching bra.